I saw this quote recently and it really got me thinking. Are you struggling or thriving? Whatever it is, it stems from things you did yesterday. Last week. Last month. Last year. Everything you do is a set-up for the future. Your health. Your relationships. Your job. Your business. This single thought is essential to everything we do. Sit on your duff and eat crappy food? You will suffer physically down the road – maybe not tomorrow but it will catch up to you. Fail to put positive energy into your relationships with people or pets? You’ll end up with uncontrollable children, empty friendships, and untrained pets. Give your job less than 100%? There is a good chance you could be replaced by someone who will make the commitment to putting in the effort. Pay poor attention to satisfying your clients? Clients will not return, and you won’t have a business to support you, your family, or your staff. What you do today totally impacts your future. So how does this play out in the grooming world? What can you do today to ensure you will thrive tomorrow? Here are 5 areas that can really influence your overall success. The more you know about your field, the more confident you will be. That confidence transfers in many ways to grooming table. Plus, it will play through in a positive way to your clients. You will be able to communicate effectively with them. You’ll instantly know how to groom any breed of dog, in any condition, with any temperament. The more knowledge you have, the easier – and more enjoyable – your job will become every day. What are 3 things you can you do today to help your future? High-quality work always brings customers back. It creates client loyalty and positive relationships. For most clients, their pets are much like their children. They love them and want to be proud of them. If you want to win the hearts – and the pocketbooks – of your clients, make sure the work at the other end of the leash is top-notch. As a professional pet groomer or stylist, you are a problem solver. Clients bring you their pets with a host of problems. Most are overgrown, dirty, or shedding. You need to uncover what their underlying needs are and present solutions to solve the problem. As you’re solving the issue, do it in a way that creates a memorable experience for the customer. It’s important to do more than just meet their expectations and satisfy their needs. Do it in a way that excites and delights them every step of the way. A smile will go a long way but there is much more to the customer service game. You need to look at every interaction with the client and figure out how to make it extremely positive. What are just 3 things you can you do today to help your future? Effective marketing creates a desirable experience that connects with prospective customers and clients. To take it even further, it’s about creating clients who want to share their experience with others. Marketing is more than just your business card or a paid ad. It’s about how your phones are answered. It’s interaction with clients and their pets. It’s the impression you, your staff, and your salon make when your client walks through your door. It’s the images and messages you post on social media. It’s your printed material. Your advertisements. Everything you do to entice pet owners to use your service. No one starts a grooming business to give away their services or lose money. That’s not what going into business is all about. Whether you are a solo stylist, an employee, or a business owner, you need to pay attention to your money. Ideally, you need to charge enough for your services so that you can pay yourself a fair wage, pay all of your bills, pay your staff (if you have them), pay your taxes, and still have a little left over for emergencies. If you don’t pay attention to the details of how money flows into your business and how it goes out, you could get into trouble quickly. You have a responsibility to yourself and to your team to be financially knowledgeable. This is just the tip of the iceberg. There are countless actions you can focus on today to positively impact your future. Hopefully the ideas in these sections will get your juices flowing. There is always SOMETHING you can do today to improve your tomorrow! Everybody wants to be successful. The bottom line is that success is hard work. You have to put in the effort. You have to put in the time. You have to pay attention to the details. Sure, today might be difficult, but think about the long-term benefits? Will your efforts today help you tomorrow? What about next week? Next month? Or even next year? There are many areas you can focus on to improve tomorrow. Always remember, to be successful – to thrive – you need to put forth effort today so that your future will be bright. Are you giving away your business by paying high commission fees to your groomers and pet stylists? Been there. Done that. It’s not fun. In fact, it’s downright frustrating! Years ago I was at the customary 50/50 split with my mobile fleet groomers and stylists. I groomed right beside my entire team in a van. I worked for the same wages, 50% commission of the grooming, just like everyone else. We did charge a separate “house call” charge per stop but that went to the company, not to the groomer. I had six vans on the road. We were busy. Really busy! After payroll was met, bills paid, and taxes covered, we were only clearing about 1-2%. I didn’t even have an emergency fund if anything went wrong… anything from new tires to new transmissions, or a brake job on any of the vans. If we ran into any bumps in the road, I was close to being sunk. Was there any hope of me pulling a “salary” as the owner? Not a chance. Once we juggled all the bills, there just wasn’t any money left over. During that time period, I learned quickly how to read a financial statement. Before then, I was racing so hard grooming, maintaining vans, and guiding my staff on proper pet grooming, I didn’t find the time to read my monthly Profit & Loss Statement (or even understand it!). I quickly learned how important that knowledge was! Bottom line: my fleet of vans and groomers provided amazing grooming services. My entire team was earning nice wages. But all I was doing was creating a job for myself… plus I was producing a lot of stress and aggravation for myself. Ultimately, it was easier for me to shut down my mobile business so I could focus on other industry opportunities. As a business owner, you have a right to earn more than your staff. You’re carrying the weight of the business on your shoulders. All the responsibility. You assume all of the risk. You bear the headaches and the frustrations. Being able to make a fair profit is a part of any business owners’ dream. My guess is many of you are struggling with a similar situation. Guess what? There is a solution to this problem – and we’ll get to that in a minute. Fast forward to 2007. I opened Whiskers Resort & Pet Spa. I was determined to do a better job with the grooming department there than I had done years earlier with my mobile fleet. This time I opted to go the hourly route for my grooming team. On paper, the numbers worked. In reality, it was a mental and moral nightmare. Holding artistic pet stylists accountable was like wrestling a greased pig. It just wasn’t working! EVERYONE complained about EVERYTHING. If this grooming department was to survive and thrive, I had to figure out a different way to pay my grooming team. I looked to other industries to get my inspiration. The beauty industry held the key. The system I chose automatically sets up ways to promote, reward, and motivate our team. It uses a combination of commission based earning along with hourly wages for bathers. Groomers and stylists are paid commissions on full groom pets ranging from 38% to 48% based on their ability to meet quotas. We have six Tiers altogether with 2% increment jumps between Tiers. Bathers are paid hourly between $8.50 and $12.00 per hour. Becoming a Certified Feline Groomer with the National Cat Groomers Institute of America (NCGIA) or any of the first aid organizations is a bonus. Our team is also paid a 10% commission for add-on services like teeth brushing and spa upgrades. All of our groomers and stylists can request a bather to assist them. However, if they choose to have an assistant bathe and prep their dogs, they pay half of their hourly wages. This keeps EVERYONE on their toes and accountable. In order for the system to work well, the secret is not in the commission levels. It’s in the average price per pet. At Whiskers Pet Spa, the average ticket price per groomed pet runs between $65 and $70. We have been working with the system for over five years. Along the way we have made modifications and adjustments to meet our needs. It’s been working brilliantly. I’m a strong advocate of hiring employees NOT subcontractors or renting table space. I like the control it gives and benefits I can offer to my staff. I never have to worry if the government is going to come beat down my door for improper hiring practices. I sleep easier at night. I have no problem paying my company’s taxes. It’s a privilege to live in this country – to pay my fair share of the taxes. If you are paying 50% or 60% commission rates to your groomers – you need to tack on the payroll taxes, too. So your commissions are more like 63% – 75%. Ouch!! That just doesn’t leave you much room to run your business OR turn a profit. If you are struggling with your payroll or running a profitable grooming business, I urge you to review your financial statements. If you struggle with understanding them, get help. The financial numbers do not lie. They are the barometer of your business. Remember, you didn’t go into business to lose money. You have every right to earn a fair living – just as your staff has the right to fair wages. Most successful pet grooming businesses charge a higher price for their services. In turn, they can reduce the commission levels while still allowing their groomers and stylist the opportunity to earn a healthy wage. Last year our full-time stylists annually earned between $28,000 and $54,000 including vacation time. And that doesn’t even include tips! Rarely do we have anyone complaining about too much work or refusing to do more dogs when we are busy. This system has really helped us promote, reward, and motivate our grooming department almost automatically. Our groomers earn a healthy wage. We can easily pay all our bills. The department is profitable. We all sleep well at night. 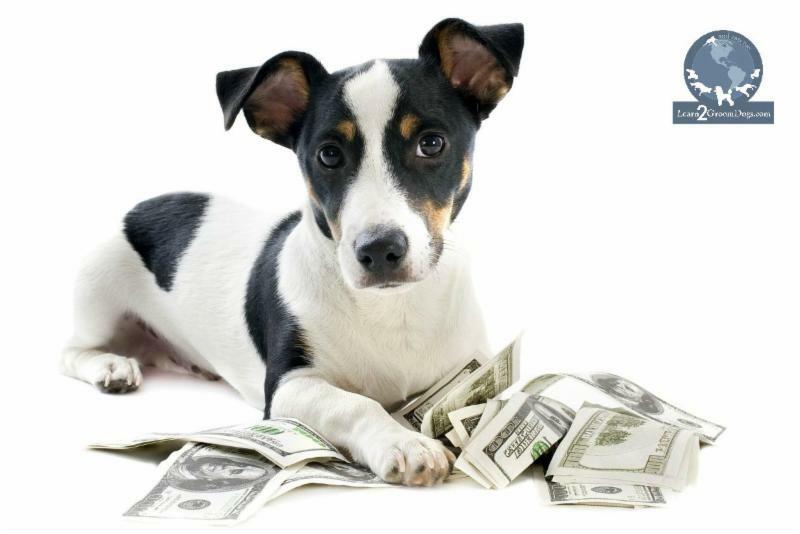 To learn more about how to run the financial side of your business, check out two of our videos on Learn2GroomDogs.com. You’ll see me having discussions with my accountant and financial guru in ways that are helpful and easy to understand. Click here! What do you think? How is your structure different? Jump over to the Learn2GroomDogs Facebook page and tell us about it. I still remember this point in my life well. I absolutely loved grooming dogs, but I was barely getting by. I had no savings account. I had only one credit card with a very small limit. I worried every time I wrote a check – would it bounce? I could not afford health insurance. The only vehicle I could afford was my mobile grooming van. I drove it everywhere. If I had a financial hiccup, anywhere, I was in deep trouble. The thought of a retirement account or an emergency fund never crossed my mind. I learned very early in my career what it was like to have the phone or electricity shut off… the payroll to bounce… or my credit card declined. Yes, I have experienced all of those. I’m not proud of it – but I did learn from it. Sound familiar? I know many groomers and stylists who struggle with this scenario. I don’t envy you. I’ve been down that path, too. Luckily, those days are long gone for me but the lessons are etched in my soul. Here’s some things that I did early in my career to beat that problem. The first thing you need to do is take a look at where you are currently sitting, financially. How much money do you bring in your household annually? Are you the sole income earner or do you have a dual income stream? You don’t have to be exact, but get close. If you have multiple income streams, how much do you need to produce to make your household budget work? Before you start fixing a problem – you need to thoroughly understand what your current situation is. This background work will help you create a plan to get over this hump. Next, you need to figure out how much money you need to run your life. How much money would it take for you to feel comfortable and not strapped week by week? Obviously, it’s going to be more than you’re making right now – otherwise you wouldn’t feel stressed over money. How big is the gap? Don’t get freaked out. What you’re doing right now is collecting data. That’s a real do-able number. There are only so many hours in a day. Only so many days in a week. Unless you more than double your current pricing structure or number of dogs you groom, making it happen will be impossible. That’s not to say it can’t be done. It can. However, you will have to make some major changes in how you generate money. If you work with your hands to make a living, you will always be limited in your earning potential. It doesn’t matter if you are a doctor, lawn service, or pet groomer. You will hit an earning cap at some point. What level that is will depend on a number of things; the quality of work being produced, amount of time it takes to complete each groom, the price per pet and the commission level. Reality check time. If you had grandiose ideas that you could simply groom dogs and earn a six-figure income, that’s not very realistic. Make sure what you want to earn and what you can earn are in alignment. Grab a calculator, a sheet paper, and a pencil. It’s time to set some goals and do some simple math. This is a game I started playing very early in my career to hit my personal goals. Let’s use that $40,000 figure as your ideal earning potential. You work at 50% commission rate. So, if you want to make $40,000 annually, you need to generate $80,000 in sales. Divide $80,000 by 50. That equals $1600 which is the amount you need to generate each week. Break it down one more step by dividing $1600 by the number of days you work each week. Let’s say that number is five days. Each day you need to generate $320 in sales. If your average price per dog is $45, you need to groom a little over seven dogs a day. $40,000 x 2 (50%) = $80,000. By breaking this down into a daily goal of $320 in sales, you know exactly what you have to do every day to achieve the annual income you desire. You’ll find yourself adding up your potential sales for the day before you even start. That’s the key to making this work. 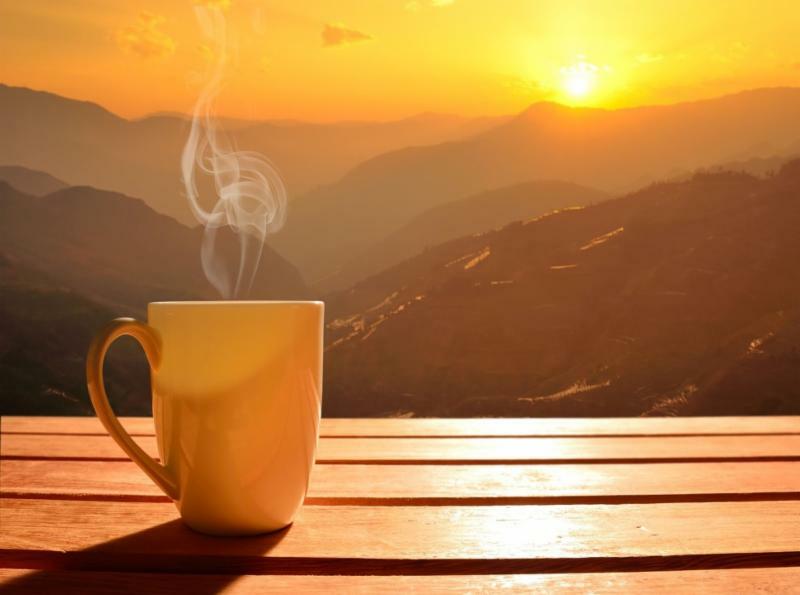 If you know early in the morning that your schedule is too light, you will look for ways to increase your revenue for that day. You’ll look for added services that you can up charge for or you may even take another appointment. If you had not set that goal as you went into your day, you wouldn’t have a target to shoot for. Discipline and focus is a two-part equation. The dual areas are monetary inflow and outflow. Raise the amount of money you bring in every week. Minimize what you spend every week. You need to set a budget for yourself and stick to it. Stay within your means. Just because you have a credit card does NOT mean you should use it! Raising your income level is going to take plenty of discipline and focus. There will be times when it will not be easy. If it was easy, you wouldn’t be struggling. There are many programs out there that can help you. Dave Ramsey and Suze Orman are two popular financial educators. Try a simple Google search about financial planning. You will find plenty of options. Use them!! In order to reduce your financial stress, you need to have a financial plan. For most people, the financial crunch didn’t happen overnight. You’re not going to get out of that crunch overnight, either. Be patient with yourself. Be disciplined. Be focused. You can fix this problem. Want a great aid to help you hit your goal? Create a visual reminder. This is a proven method that works in many scenarios. Top athletes have used this technique for years. High achievers create entire dream boards of their goals. One of my favorite books and films on this topic is called The Secret by Rhonda Byrne. It’s simple. What you see and think about – you remember. But here’s the deal. You need to see and think about it A LOT. You want to be constantly reminded of your goal. For a financial goal, I would select something about the size of the business card. You can get as creative as you like. Make up 10 to 20 of them. Once you have a slew of them made, start distributing them where they will be a constant reminder. Post them on the mirror in your bathroom. Tuck them in your wallet with your money. Put them on your bedside stand. Stick one on the refrigerator. Place them at your grooming station. Attach them to your appointment book. Tape them to the dash of your car. Keep them highly visible and in front of you as a constant reminder. It’s amazing how well this works. Sure, you can get by living hand to mouth, but it’s not fun. Life is so much more enjoyable when you are confident about your financial future – whether it is tomorrow, next week, next month, next year, ten years down the road, or into retirement. You don’t have to have a six figure income to be happy and secure. However, you do need to live within your means AND have a savings plan in place. Once you get your financial life in order, the more you will enjoy today. How has living hand to mouth affected your life? Have you taken steps to overcome it? How has your life changed? Jump over to the Learn2GroomDogs Facebook page and tell us about it!